In 2019 we are holding a full tournament series throughout the State of Utah from February to August. We will have rankings for the Advanced and Co-ed divisions with some serious sponsorship money for the top players at the end - click below to find out all the details! In 2019 we are kicking off high school roundnet in Utah! Sponsored by Spikeball™ we are looking to lead the high school roundnet scene throughout the country! We can’t do that unless we can send a few teams to Nationals! So the top teams will receive a sponsorship from Utah Roundnet with prize money to be used to travel to the Spikeball High School Natties! Roundnet is the sport popularized by Spikeball™. You may have heard of it referred to as Spikeball™, but that is merely the brand who makes the product on which roundnet is played! Check out their information at Spikeball.com! Our Mission is simple: to grow the sport of Roundnet here in Utah. We are doing this through organized leagues, tournaments, and even just pick up games. We have some big goals in the future including putting together training camps, and getting a tournament here in Utah on the official Spikeball™ national tour. The URA was founded in the Summer of 2018, with the first Roundnet League in Utah. From there, official clubs were formally organized and we had the first state-wide Spikeball sponsored tournament series. 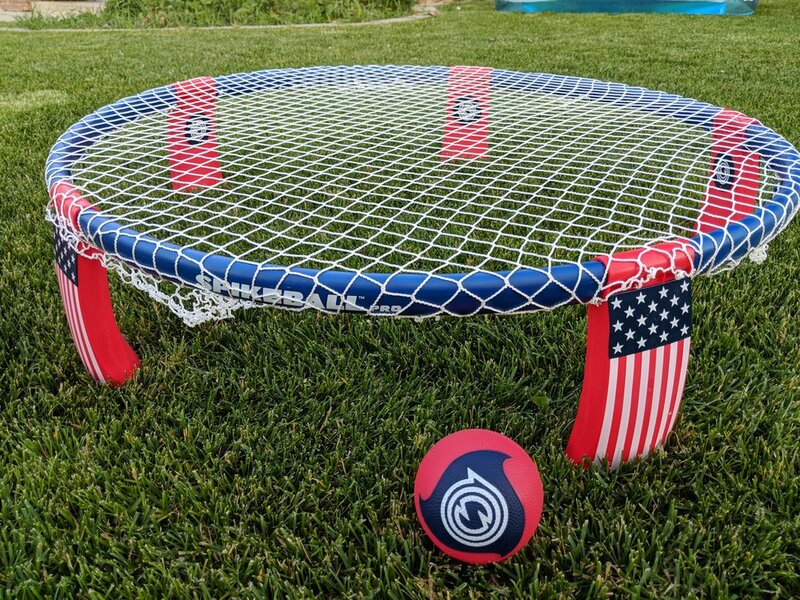 We were just the 3rd organization officially recognized by Spikeball™ in the country and we have many more plans of how we want to grow in Utah - find out what we have in store for the future of roundnet in Utah. We know it can be intimidating playing with Roundnet All-Stars sometimes, but one of our goals is to connect athletes of all levels together so everyone can get better together. We need your help: PLAY! Get out and play as much as you can. The easiest way to find games is to download the Spikeball app on your phone to join other pick up games, and if nothing is around create one of your own! For information on organized clubs and how to contact a club leader near you, check out that page below! Although leagues and tournaments will have Spikeball nets provided, you probably want your own to show off at the next family BBQ. Get your own Spikeball™ gear at the link below! They have some pretty sweet apparel and other specialized sets to check out as well.